Stop aquatic hitchhikers. Be a good steward. Clean. Drain. Dry. Welcome to the fifth and final episode of "SubSurface: Resisting Montana’s Underwater Invaders." Today we’re putting our producer Nicky Ouellet in the hot seat to answer some listener questions about mussels. 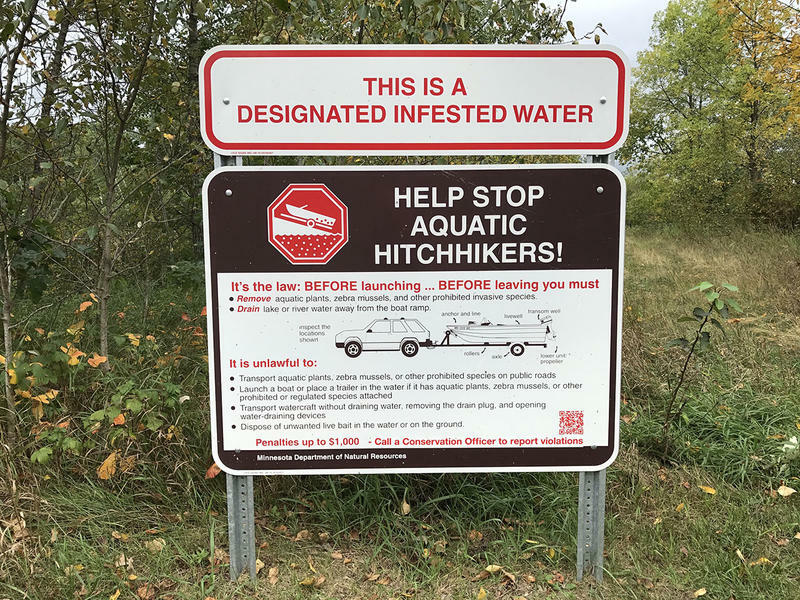 Learn more about how you can help stop the spread of aquatic invasive species, on this episode of SubSurface. Ok, let’s quickly recap: In our other four episodes, we took some deep dives. First we explored what Montana’s future could look like if invasive zebra and quagga mussels take over lakes and rivers here. Then we looked at how mussels spread, how to keep mussels from spreading, and what our options are if they do arrive. We ended by pondering some bigger existential questions about what invasive species mean, and who gets to decide just who belongs and who doesn’t. SubSurface Producer Nicky Ouellet (L) and Associate Producer Nora Saks (R) talking mussels. But that wasn’t enough. You, our listeners, had yet more questions about these elusive mussels in our midst. So listen in to hear your mussel questions answered, and learn more about best practices to stop the spread of aquatic invasive species below. Clean. Completely remove all mud, water, and vegetation before leaving the access area. 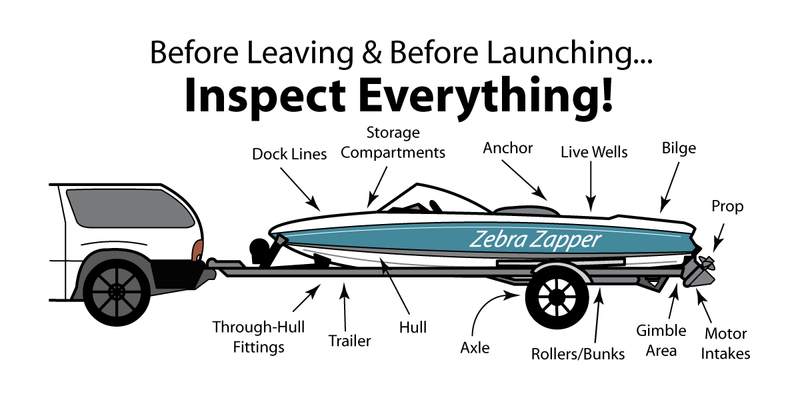 Inspect your boat, trailer, and all gear. Pay attention to crevices and hidden areas. Remove all vegetation (by hand or sprayer). Remove all mud (use a pressurized power sprayer, found at most do-it-yourself car washes). The hot water kills organisms and the pressure removes mud and vegetation. No need to use chemicals or soap. Dispose of debris in trash or on dry land away from water or ramp. Drain. Drain all water from watercraft and equipment. Drain or remove water from boat, bilge, live well, engine, internal compartments, and bait buckets by removing drain plugs before leaving the access area. Dry. Aquatic invaders can survive only in water and wet areas. 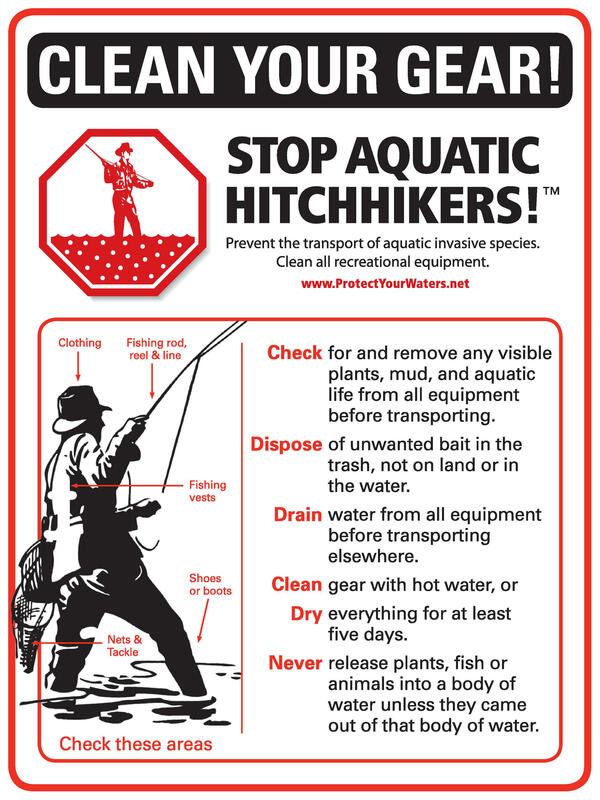 Dry your watercraft and fishing equipment thoroughly; this will kill most invasive species. The longer you keep your watercraft, trailer, waders, and other equipment outside in the hot sun between fishing trips, the better. Clean: Completely remove all mud, water, and vegetation before leaving the access area. Drain: Drain all water from watercraft and equipment. Dry: Aquatic invaders can survive only in water and wet areas. 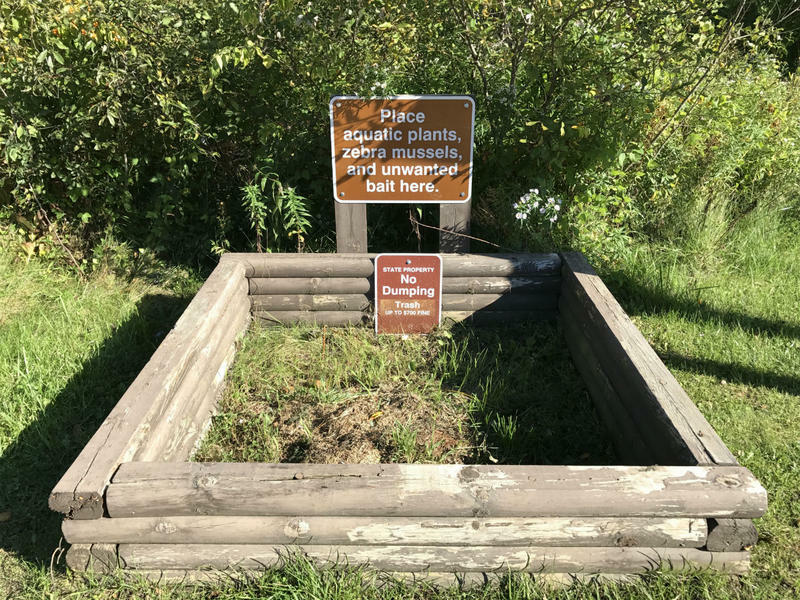 Clean off plants, animals, and mud from gear and equipment including waders, footwear, ropes, anchors, bait traps, dip nets, downrigger cables, fishing lines, and field gear before leaving water access. Scrub off any visible material on footwear with a stiff brush. Drain water from watercraft, motor, bilge, bladder tanks, livewell and portable bait containers before leaving water access. Replace with spring or dechlorinated tap water when keeping live bait before leaving water access. Dry everything five days or more, unless otherwise required by local or state laws, when moving between waters to kill small species not easily seen OR wipe with a towel before reuse. Dispose of unwanted bait, fish parts, and packing materials, in the trash; do not dump them in the water or on land. 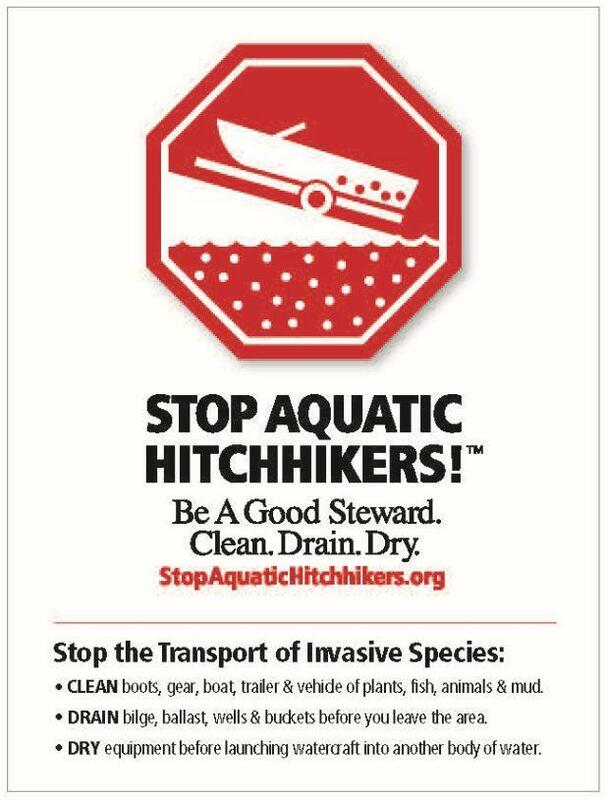 Use non-felt soled boots to further reduce the risk of spreading aquatic invasive species. Fish caught for eating or taxidermy should be cleaned at designated fish cleaning stations or placed on ice. Don't Release Live Animals. Never move live fish, invertebrates (snails or mussels) or plants from one body of water to another without FWP authorization, and don’t release live baitfish or aquarium fish into Montana waters. You may think you are being kind by doing so, but in actuality you are breaking the law and damaging Montana’s aquatic resources. Stop Aquatic Hitchhikers. Clean, drain and dry your gear every time you use it. SubSurface is a production of Montana Public Radio, with financial support from the Solutions Journalism Network, a nonprofit organization dedicated to rigorous and compelling reporting about responses to social problems. 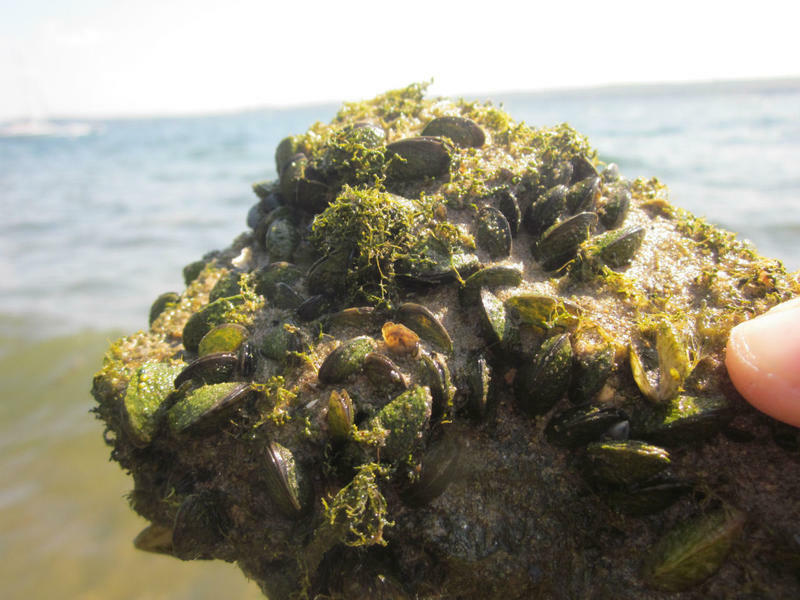 We’ve heard in previous episodes what it’s like to live with invasive zebra and quagga mussels: the costs they can impose, the changes they bring, the clarity they leave in their wake. We learned how they spread, and how managers are working to stay in front of their advances into Big Sky Country. But what if they get here anyway? What are options then? And what does this invasion mean for the landscape? For us? Today in the fourth episode of SubSurface, we’re looking at Plan B, and thinking about what the mussel invasion tells us about ourselves. This is Active Resistance. 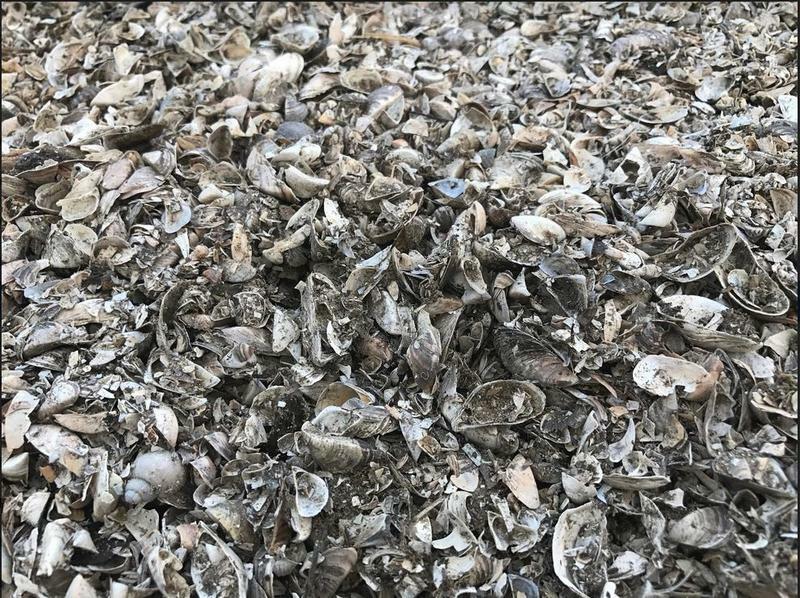 Everyone agrees that the goal is to stop invasive zebra and quagga mussels from spreading, but there isn’t consensus on how to do that. This is where Montana is right now. There are a lot of different groups — state, tribal, federal, local and non-government — working to keep the mussels out, but they’re all working under different systems, with different rules to follow and different ideas about how to move forward. Today we’re asking: Where are we cooperating, and where are we entangled in bureaucracy? This is SubSurface episode three: Shell Games.